Great location, excellent service, comfortable and clean room. 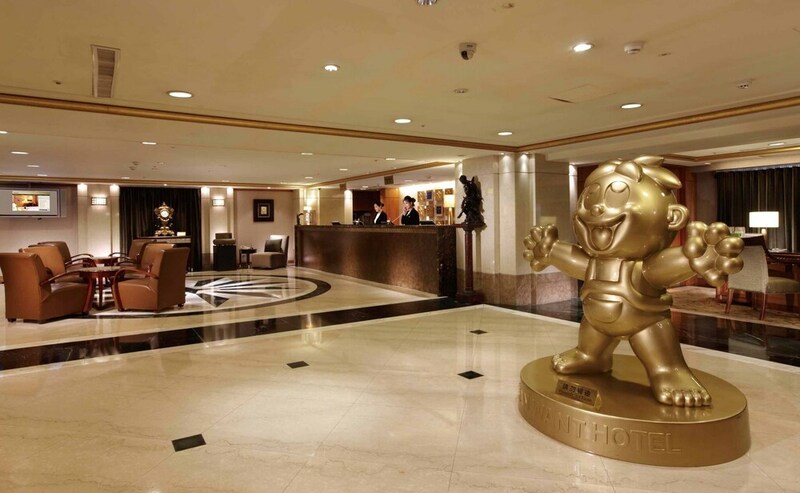 I have used 5 hotels in Taipei and this one has been the most convenient and full-service. Nice services reception/room services, excellent breakfast with many choices, close to MRT easy to reach out most places in Taipei, walking distance to 101 building and Memorial Building. Conveniently located, the staff goes above and beyond to satisfy your needs. I would definitely recommend The San Want Hotel, perhaps you would like to stay in the superior rooms with extra space. The room's carpet is so dusty. Carpet may be replaced and improved the room being little bit clean. Facilities are consider sufficient. Staffs are helpful and friendly. the location and breakfast is nice but the facility need remodel. Staff was really helpful，check in was effective, luggage storage service was convenient after check out. My daughter liked the free package of local snacks and fruits from hotel. If local calls can be free, then it will be a big plus. We had a very please staying in San Want during our visit in Taipei. The staffs were very friendly and helped us out a lot while we were busy with two little kids (1 and 4 yrs old). Stuffs in the hotel room was a bit old, but didn't cause any inconvenience to us. The hotel is very convenient to public transportation, restaurant, department store, bookstore and any kind of shopping place, even the traditional farmer market! It's a very nice experience and we will stay here again for our next visit. The hotel is conveniently located right by a metro station only 4 stops away from the Taipei Main Station on the blue line. Many international brand clothing stores right across the street from the hotel. We also found many great little bars and eateries around the neighborhood. It is also only a 10-minute bus ride from the famous Chia-Te Bakery in Taipei. Great location! The staff are extremely nice and courteous. The room was very clean and comfortable. I would definitely stay here again! This was a ---------------------------------------------------------------------------- great experience. Buffet breakfast was great. Bed and pillows were comfortable. Room was quiet. Staff was very friendly. Room service did great job cleaning. I recommend this hotel. It had everything we needed. Bathroom was small. Shower was higher than normal. Had to be careful getting out. The water pressure was very strong. Plenty of hot water. We would go back. Small size for the single room. The service is good, the hotel location is excellent at central shopping area in Taipei city and near RTM entrance/exit. Excellent services through out especially buffet staff. The San Want is an easy to get to hotel centrally located and within walking distance to shopping and restaurants. The rooms are a bit dated with CRT TV's, an alarm clock, and pull chain lamps. The staff are very attentive and professional. Reasonable price for a good nights rest and a good value. Plus Free wifi Good breakfast buffet Metro right in front, steps away Minus Room can be more clean,found clump of hair under sink Had 3 consecutive night stay in large suite. Then left&came back for 1 night. For $15 difference, we got a tiny , dingy room w/ old TV. i only had a few hours taipei and was able to get some good rest here. convenient to walk up and down main street with plenty shops right outside hotel. The rooms were small and outdated. Old furniture and appliances. Work-out facilty was decent and the free breakfast was a nice touch. Located in Daan within a short walk of Sun Yat-Sen Memorial Hall, San Want Hotel Taipei is within a mile (2 km) of other popular sights such as Taipei Arena. This 268-room, 3.5-star hotel has 3 restaurants along with conveniences like free in-room WiFi and free self parking. This hotel is home to 3 onsite restaurants, perfect for a quick bite to eat. Satisfy your hunger without leaving your room with room service, or quench your thirst with a beverage at the bar/lounge or 2 coffee shops/cafés. Start each morning with buffet breakfast, available for a fee from 6:30 AM to 9:30 AM. A 32-inch LCD TV comes with cable channels, and guests can stay connected with free WiFi and wired Internet. The bathroom offers hair dryers and slippers. Other standard amenities include a refrigerator, free bottled water, and a safe. San Want Hotel Taipei features a fitness center, free WiFi in public areas, and conference space. You can take advantage of free parking, along with an airport shuttle (available 24 hours) for TWD 1800 per vehicle one way. Multilingual staff at the 24-hour front desk can assist with concierge services, securing valuables, and luggage storage. Additional amenities include a business center, coffee/tea in a common area, and a computer station. location of the hotel is very convenient . Buffet breakfast is served daily from 6:30 AM to 9:30 AM for a fee. Recreation features at San Want Hotel Taipei include a fitness center. The preferred airport is Taipei (TPE-Taoyuan Intl.). The front desk is open 24 hours a day, and checking in and out are easy with express services. For convenient arrivals and departures, you can take advantage of the airport shuttle (available 24 hours), which is offered for a fee. Driving? This property offers free self parking, along with extended parking. Guests with plans to arrive after 10:30 PM must make arrangements in advance by contacting the property using the information on the booking confirmation. The following credit cards are accepted: American Express, JCB International, Mastercard, Visa, and Union Pay.